ITMS kicks off new year with a new website. Illustrations play a growing role in agency’s portfolio. Clear, quick and responsive. ITMS Marketing relaunched its website today with the aim of better presenting its competencies and services. The website was technically updated and renewed with new content, a user-friendly interface and an appealing layout. It features a responsive design, cross-browser and multi-device compatibility, which enable it to resize and accommodate the website’s layout according to the screen size of the device over which it is being accessed. The look of the new website is neat and tidy. The facelift helps users better navigate through the site. The design includes larger titles and shortened messaging to capture audiences and expedite their time to convert. Scrollable storytelling makes articles easy to read and guides the reader down the page. By using movement opportunities and video, the website keeps visitors on the page for longer periods of time. Under “Portfolio”, the success stories of client initiatives are presented in the form of case studies. This completely redesigned section gives the user insight into the behind the scenes of some of the agency’s recent projects. 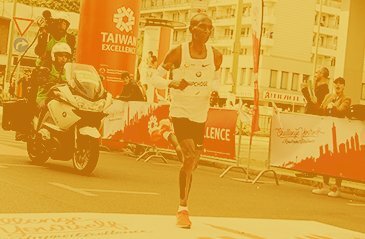 In revealing narratives, successful projects such as the major media launch of the Airbus A350XWB for Qatar Airways, or an activation of a sponsorship for Taiwan Excellence during the 2018 Berlin Marathon are looked at in detail. “Our skills and work for our clients go beyond the expected. That’s why we wanted to make sure our website and specifically the portfolio section, reflects this,” says founder and Executive Director George S. Pascal. “All of our clients have very individual needs, strategies and performance expectations. It is important and indeed, part of our philosophy, to constantly innovative and develop new formats. 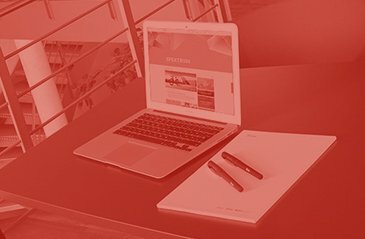 We create and execute unique solutions for each of our clients and this is the best way to successfully achieve their brand positioning objectives,” explained Pascal. Time-tested features such as a news section and an agency blog, which are combined under the collective name SPEKTRUM, have been retained and optimized. The launch of a new cartoon section takes a witty look at everyday life at the agency through the eyes and pencils of the agency’s in-house illustrators. The new monthly drawings are a testament to the growing importance of individual hand-drawn artwork, sketches and illustrations in advertising, and in the agency’s range.